In Britain, December 26th is Boxing Day, a national holiday, that celebrates the traditional post-Christmas servant’s day off. Sausage rolls, or Boxing Day rolls as they are often called, are a traditional dish served during this holiday celebration. In the past, this day was one of the only days when upper class families had to survive on leftovers, which often included these tasty little rolls. The English, in keeping with tradition, continue make and eat these delicious savory pastries every December 26th, so on this day I tip my hat to the British. The concept is simple: sausage wrapped in a delicate pastry, baked until it’s golden brown. The French call this delicacy “pate en croute;” here in the United States; the closest thing we have is a mini version known as “pigs-in-a-blanket.” That is not nearly as classy, but the concept is very similar. I have been to England a few times, but sadly I have never had Boxing Day rolls there. I actually began making Boxing Day rolls at my husband’s request a few years ago based on the New York Times article he read about the well-known rolls. My husband will on occasion pass on recipes to me, if they are interesting enough, I’ll try them, but I almost always change them—that is the chef in me. I am not British and we don’t celebrate Boxing Day. 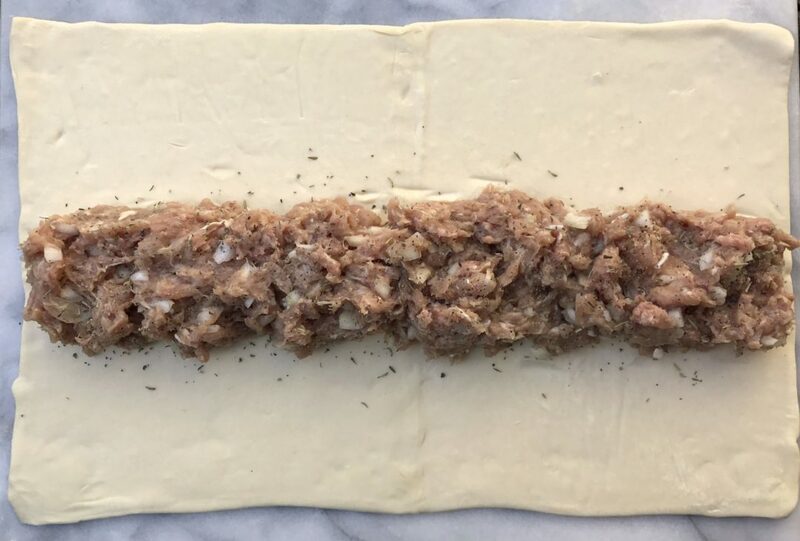 But I make Boxing Day rolls or as my kids call them, “sausage rolls,” often because they are delicious and incredibly easy to make. 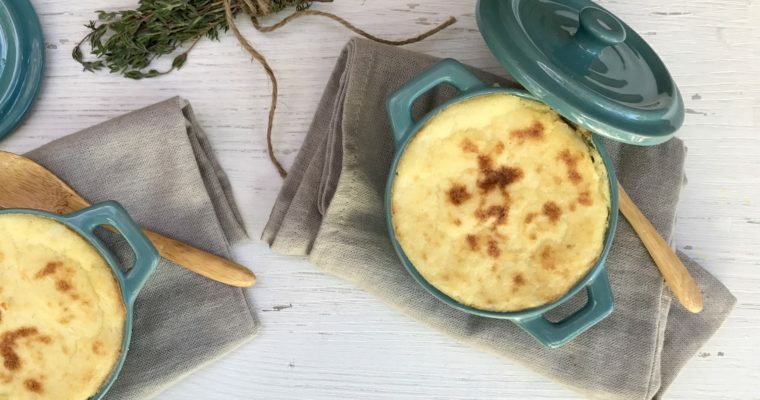 I consider this a quick dinner: there are some shortcuts in this recipe to make it faster, such as using a good quality frozen puff pasty instead of making your own. 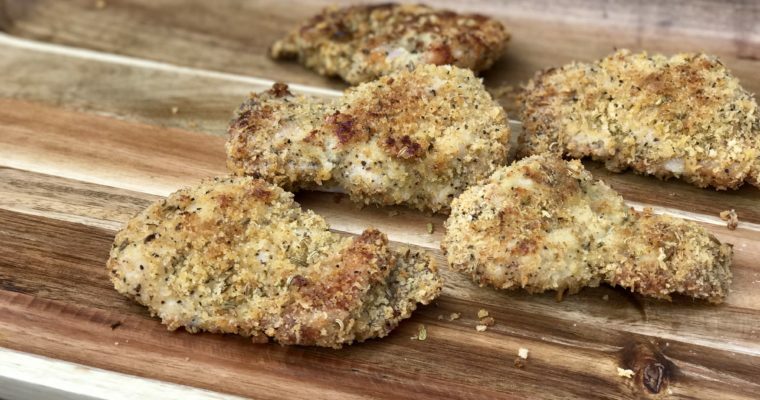 The recipe can also be easily prepped during the day, refrigerated and baked right before dinner time. 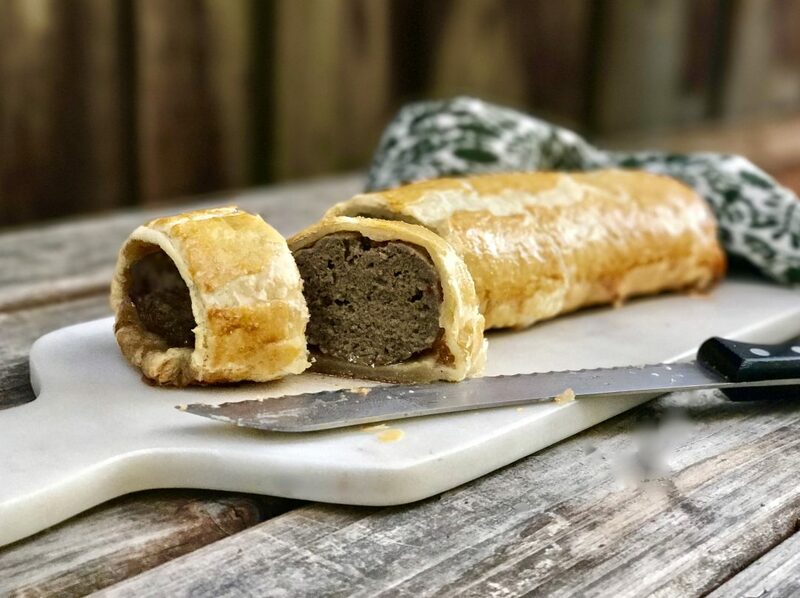 This is also a fantastic recipe for larger groups, similar to Beef Wellington, is a great crowd pleaser, but a lot less work! Step 1 Preheat the oven to 400 degrees F. Line a baking sheet with parchment paper. 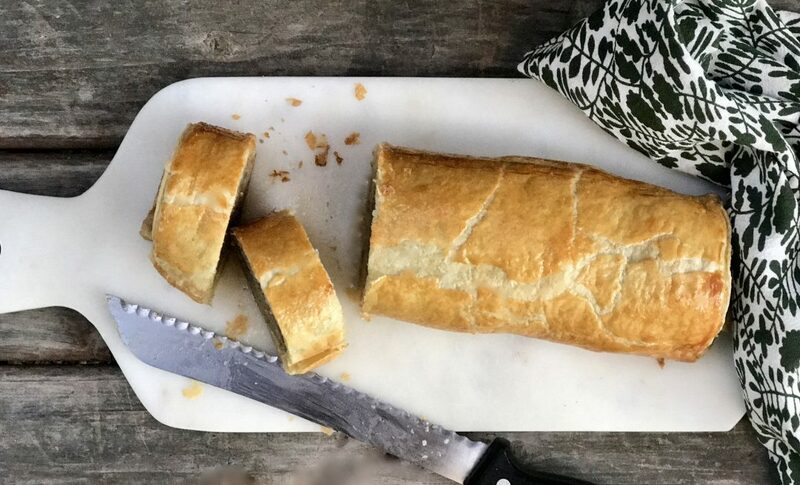 Lay the puff pasty out flat on a cleaned countertop or cutting board. Step 2 In a large mixing bowl, add the chicken sausage, onion, thyme, garlic powder, Italian seasoning, salt, pepper and cayenne (if using). Using your hands, mix the filling well to incorporate. 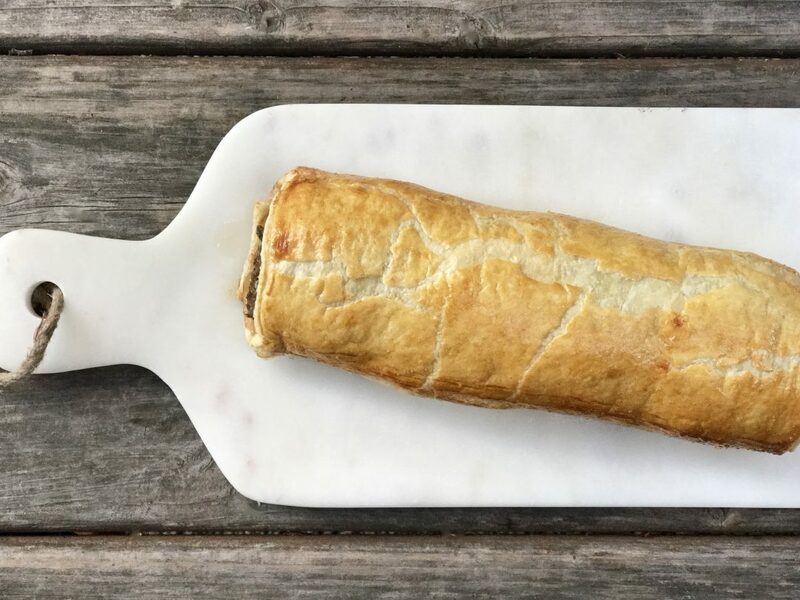 Step 3 Place the sausage filling in the middle of the puff pasty making a long even log-like shape across the pasty lengthwise as shown in the photo above. Using your hands, form the filling so it evenly stretches end-to-end. Step 4 Gently pick up one side of the pasty and fold it over the sausage filling. Slightly tuck the pasty around the filling helping it keep its log-like shape. Repeat with the other side. Step 5 Using your hands, gently turn or roll the pasty slightly so the seam side is now face down on the prepared baking sheet. Gently round the pasty forming a nice long even log with no filling showing. Step 6 Using a pastry brush, lightly brush the pastry with egg wash making sure to get all sides. This will help turn the pasty golden in color while baking. Step 7 Bake on the middle rack for about 45 minutes, rotating mid-way through. If the pasty is beginning to brown too quickly, place some aluminum foil loosely on top to stop it from burning. When done cooking, remove from the oven and let rest slightly before slicing. Step 8 To serve, use a serrated knife to cut the Boxing roll into six slices or as desired. Such interesting history! Thanks for sharing!